Barbiera is a 2018 artist with Creative Europe's electronic music and arts platform SHAPE and among the mentors for art collective Acud Macht Neu's new Amplify Berlin residency program. 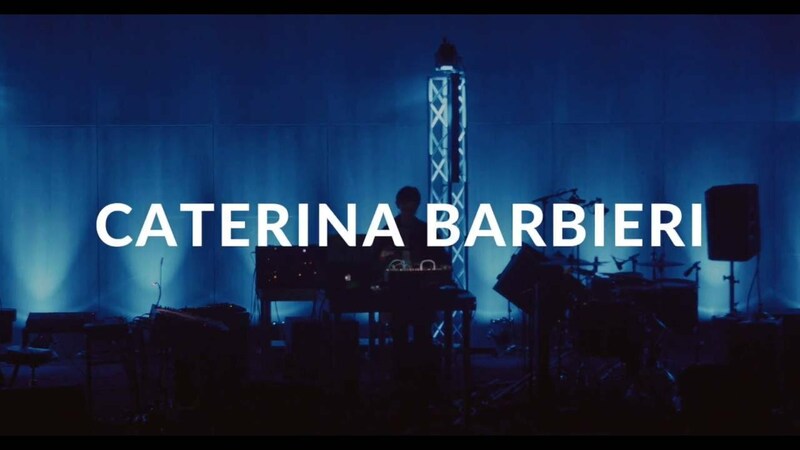 Synth arpeggios layered into sustained chords, complex algorithmic melodies and deeply felt drones elevate Caterina Barbieri's compositions into the realm of mind altering. A distinct artist in a new wave of contemporary Italian electronic composers and musicians—Barbieri makes music that explores the cognitive feedback between humans and technology, using permutations of patterns to to spur intellectual and emotional insight into our perception of sound and other cultural constructs. A classical guitarist with a masters diploma, she also studied electroacoustic music at the University of Bologna and at Bologna's Conservatory G. B. Martini, her respective theses exploring Hindustani music and minimalism in the work of La Monte Young and at spheric sound in terms of ambisonics, synthesis and drone music. During her first residency at Stockholm's Elektronmusikstudion (EMS) in 2014, she composed and recorded her album Vertical—all pulsing, glitching tracks of Buchla 200 synthesizer and her own vocals. Around the same time, she was working on the delicate melodies and drones of her slow wave project Morbida. More music residencies at EMS, Tempo Reale, Berlin Funkhaus and the Biennale di Venezia followed, along with performances at international festivals where she's collaborated on multimedia productions including Punctum, with electronics and guitar player Kali Malone. Her latest solo album, Patterns of Consciousness, gained “Best of 2017” status for its complex layers of deconstructed patterns, drones and repetitive melodies, all sounds sourced from her Verbos Harmonic Oscillator. This year alone, Barbieri has performed hardware-meets-software live sets at Boiler Room Helsinki, Moogfest, London's Barbican, and festivals all over Europe. Barbieri comes to MUTEK to impart her compositional discoveries of mind-altering polyrhythmic patterns wrapped in waveforms, subtractive musical combinations and an all-encompassing pan-harmonic field. Caterina Barbieri is a 2018 participant of the SHAPE platform for innovative music and audiovisual art, which is supported by the Creative Europe program of the European Union. Presented in coproduction with Arcadi for Nemo, International Biennial of Digital Arts - Paris/Île-de-France.